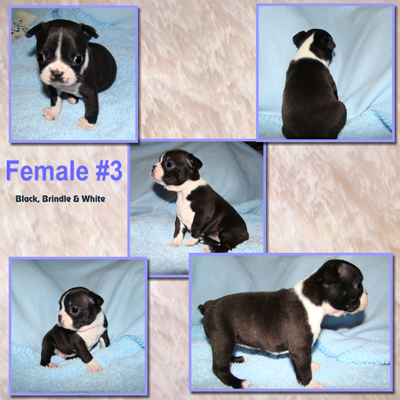 This is a beautifully marked female Boston Terrier with AKC Champion Bloodlines. 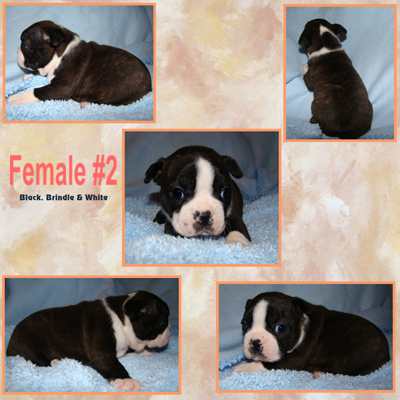 She is brindle and white that features a full collar, short cork screw tail, age appropriate vaccines, dew claws removed, vet checked with a one year health guarantee and AKC papers. 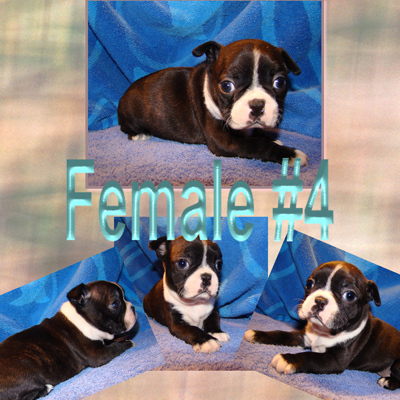 She is available for $800 with limited registration with a spay contract. 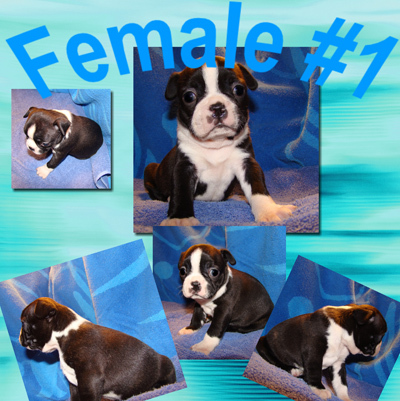 Here is a beautifully marked male Boston Terrier with AKC Champion bloodlines. 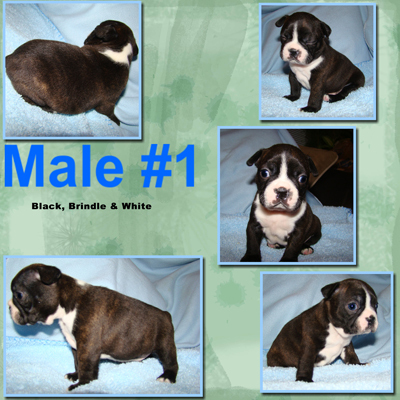 He is brindle and white that features a full collar, short cork screw tail, age appropriate vaccines, dew claws are removed, vet checked with a one year health guarantee and AKC papers. 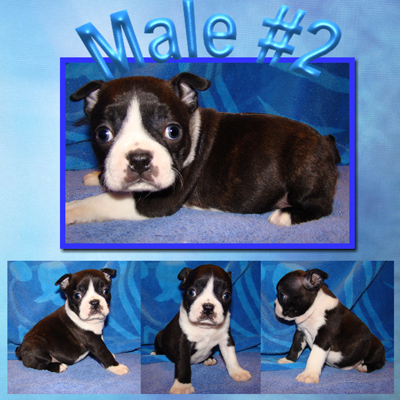 He is available for $800 with limited registration with a neuter contract.